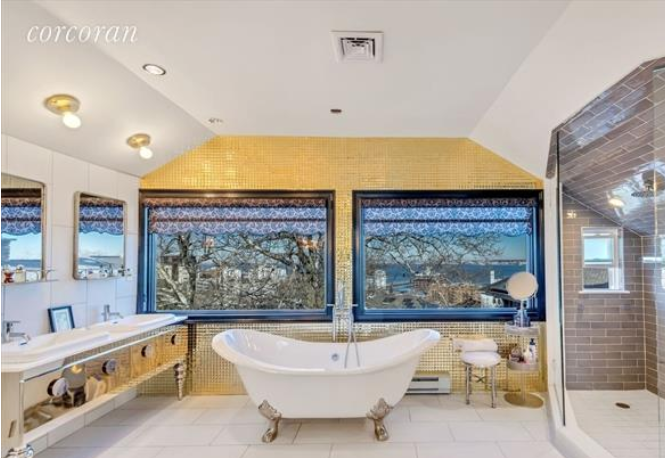 The Ward Hill house that until recently belonged to the late "Mob Wives" star Big Ang overlooks St. George and the harbor. 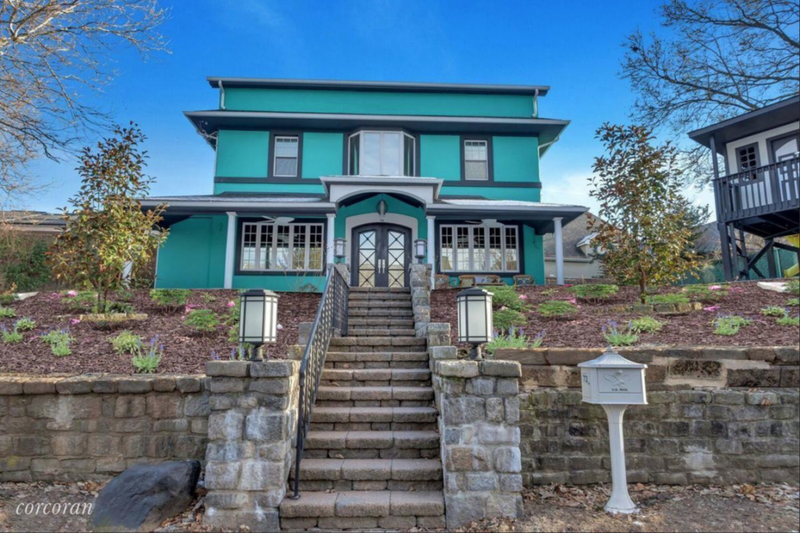 Attention fans of late “Mob Wives” star Angela "Big Ang" Raiola: This is your shot at living in her over-the-top house on Staten Island. 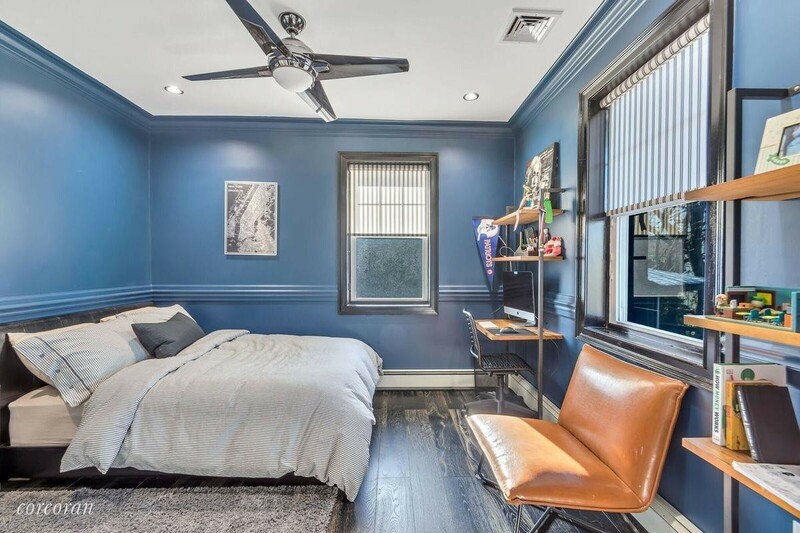 The current owner, who bought the boldly renovated four bedroom, three-and-a-half bath last year, listed it with Corcoran on Sunday for $949,000. As committed viewers of the show know, this house is not for believers in understatement. 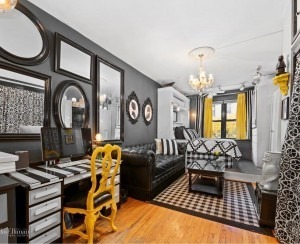 The portrait of Big Ang is no longer above the fireplace at 72 Tompkins Circle, but listing photos show that some of the house’s quirky decorating scheme (think a massive gold-tufted ottoman and a giant tufted headboard), featured on the hit reality show, remains intact. For example, you can see the 10-foot turquoise-colored couch that Raiola sat on during the season finale as she discussed her battle with lung and brain cancer, which ultimately took her life in 2016. 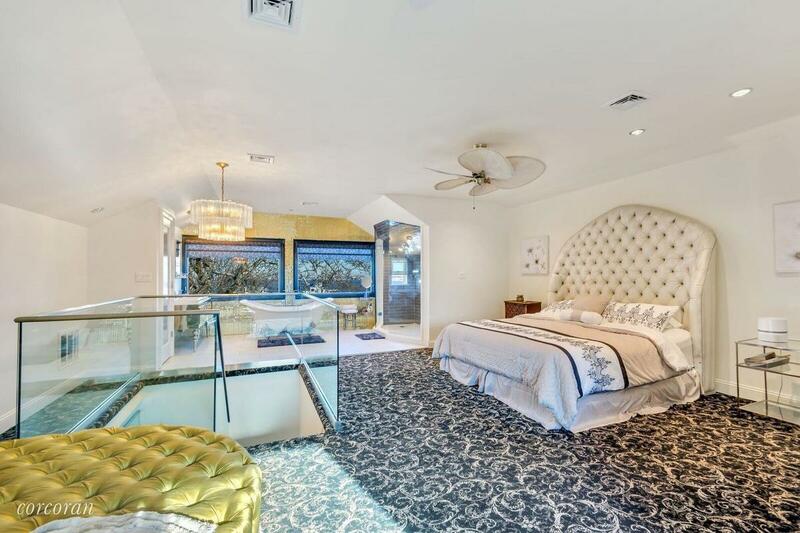 Listing agent Diane Henning says that the bed and ottoman in the master suite are so massive that they're tough to move, and so they'll come with the house. The new owner did some restyling, including work on the lower level and landscaping, Henning says. The owner is looking to downsize now that one of her sons is away at school. "It's too much house for her," Henning says. 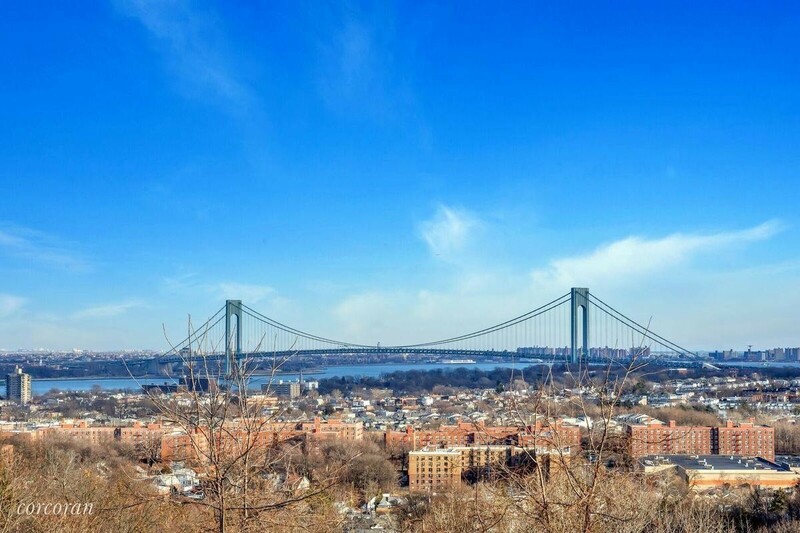 The first open house is this Sunday and Henning says she's receiving interest from Manhattan buyers, likely because the house is just a mile from the Staten Island Ferry Terminal. The house was listed for sale at $1.3 million in April 2015, and then listed again in February 2016 for $1 million. 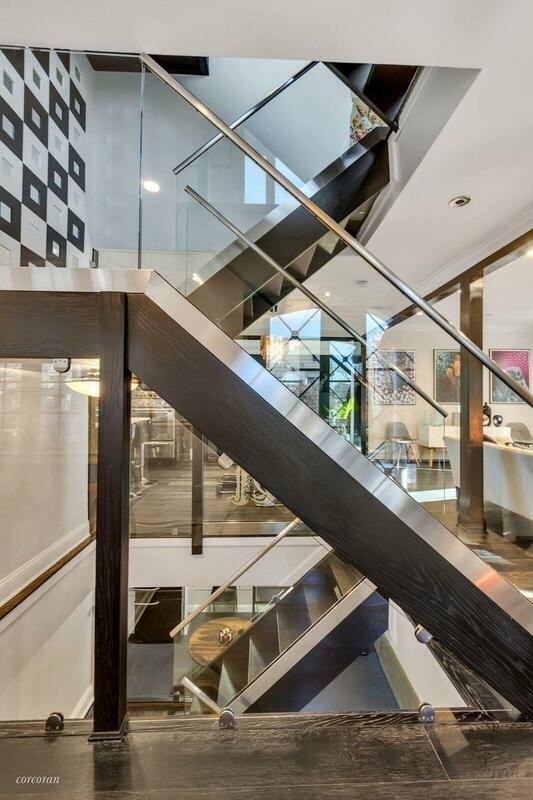 After a couple of cuts, the asking price dropped to $824,000. Property records show that the house sold last year for $800,000. Big Ang was known as the peacemaker among a tough-talking female cast that on occasion needed bouncers to step in to break up brawls. 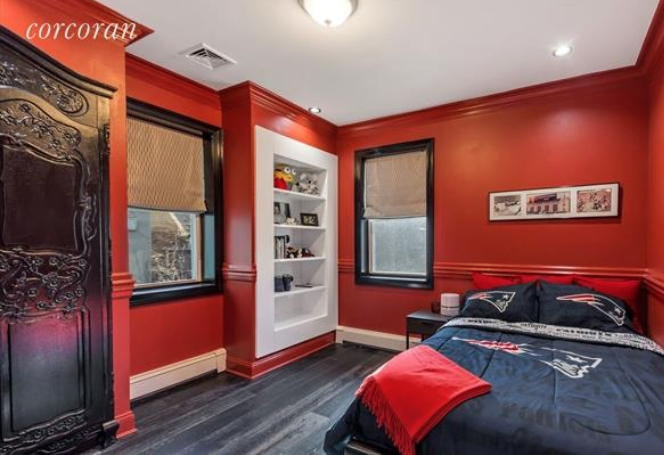 Raiola bought the house overlooking St. George and the harbor for $560,000 in 2013, then began a two-year renovation. She told the Daily News in 2015 that the furniture was custom-made for the house. 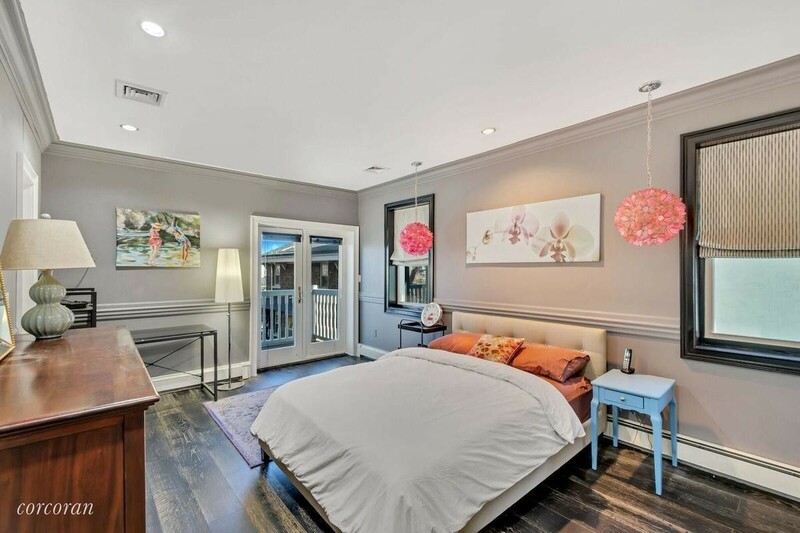 There are some striking details that a new owner would likely need to adjust to, like a master bathroom with a claw foot tub that, apart from the toilet, is not separated from the master bedroom by any walls. The setup lets you dry off from a bath with a view of the harbor, and if you have company, give whoever's in the bedroom a view of his or her own. 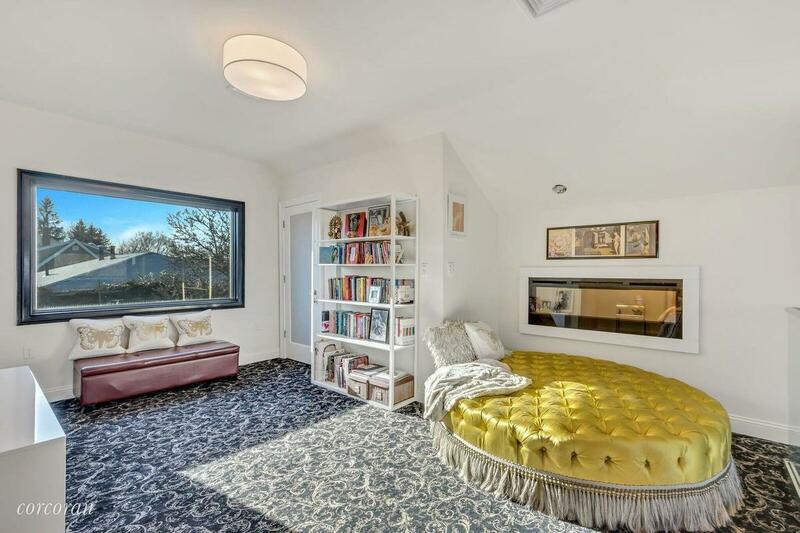 One of the three bedrooms on the second floor opens up onto a balcony. 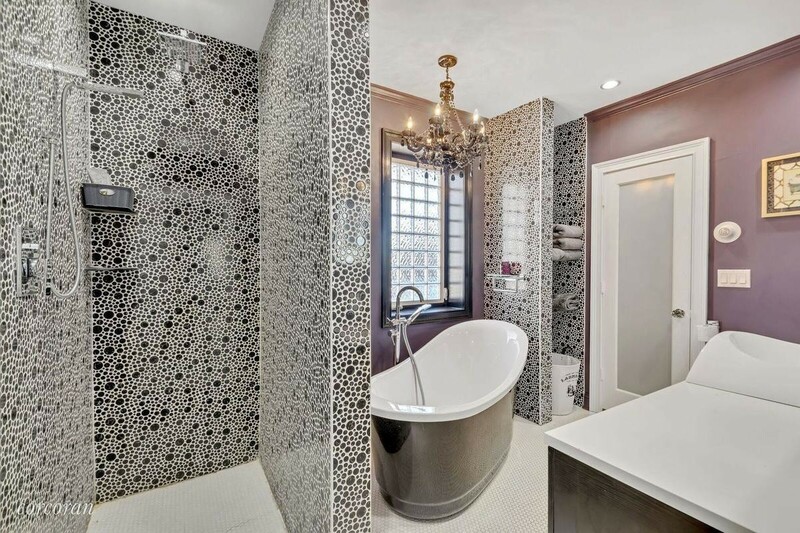 These bedrooms share a bathroom with an eye-strain-inducing custom tile job, a separate shower and deep tub, and a chandelier. There's a lot of stainless steel around the house. 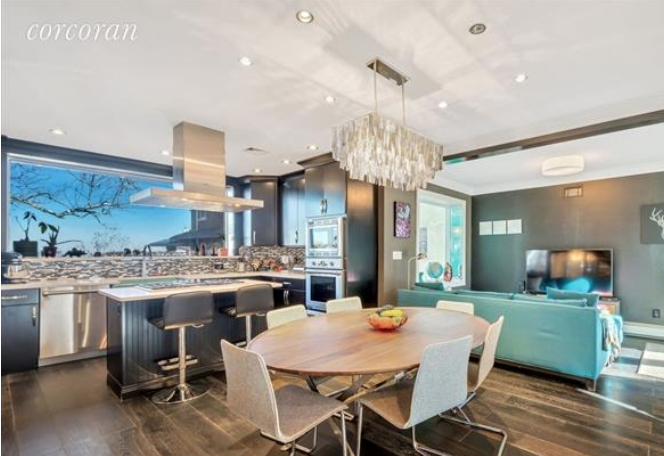 There are other modern touches as well, such as Thermador appliances in the kitchen, a media room, central air, and radiant heat in the bathrooms. In the basement there's an in-law suite with a separate entrance. Out on the front lawn, high above the street, is a sturdy-looking playhouse. And out back there's a two-section patio. The commute to lower Manhattan via the Staten Island ferry takes about 25 minutes, but the walk back up the hill is a bit of a schlep on foot. 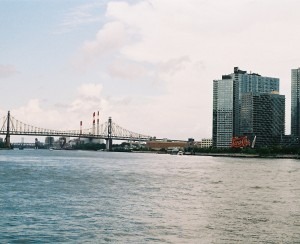 What happens to apartment prices and rents if Amazon's HQ2 lands in Long Island City?